After we ate our noodle soup for brunch, then it was time to get ready for family photo session and dash off to Wat Nongbone. 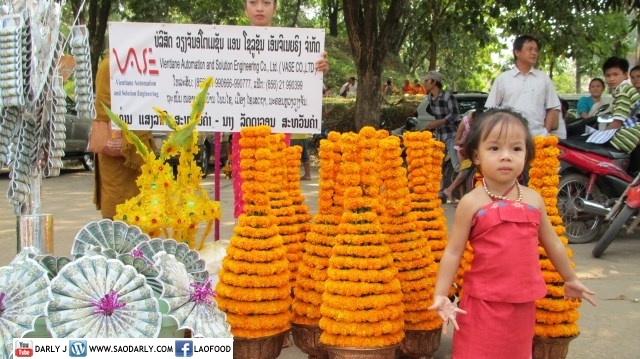 My aunt was a participant in the parade for Ban Nongbone since we all used to live there for many years. 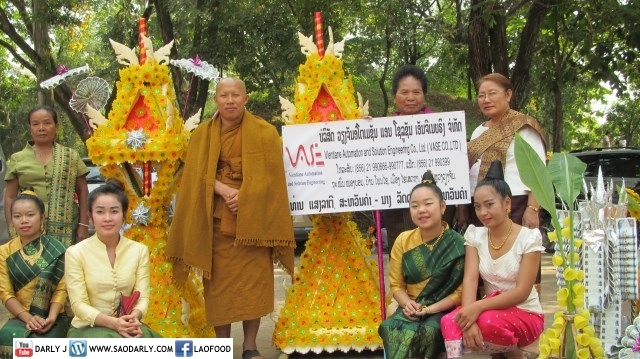 I wanted all of us (younger generation) to carry on the tradition that I once knew as part of our family, which is attending the Phasad Pheung Procession and the Morning Alms Offering the next day. 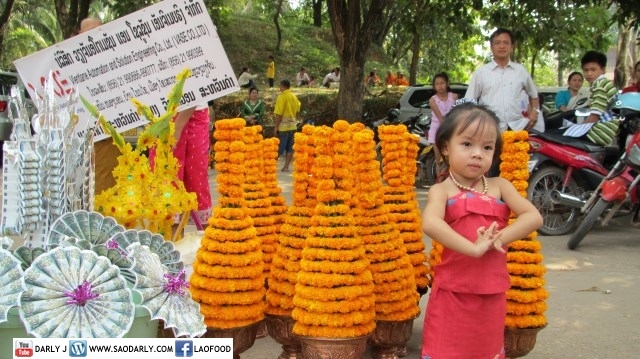 My great grandmother never missed this special occasion and she kept attending Boun That Luang even when she was in her early 90’s. 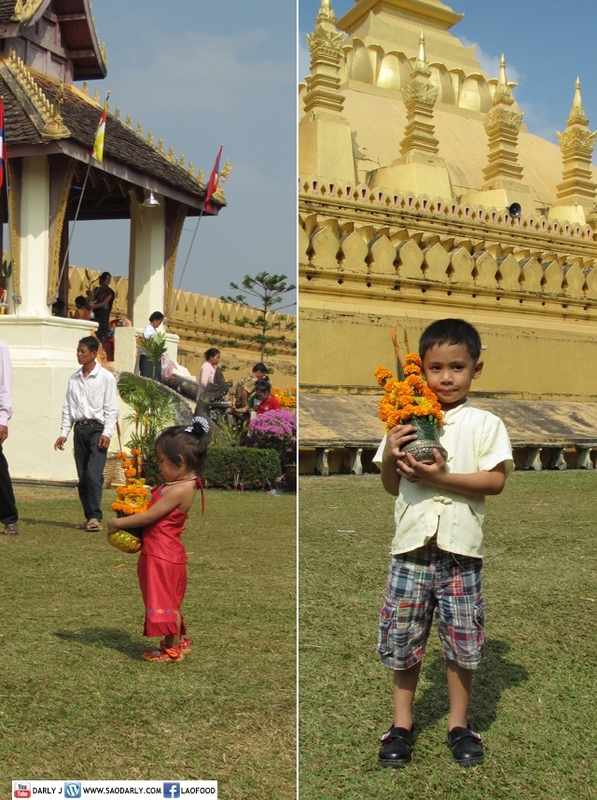 She would come down from Ban Keun before the festival so she can go to the festival with her children, grandchildren, and great grandchildren. I was happy to be there with my family. The weather was so warm and I had to carry my niece most of the time since she is just a little over two years old. She was quite brave, didn’t whine or cry about being out for so long.